Painting & Art Fun for kids! 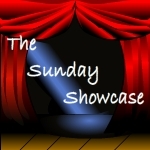 The Sunday Showcase is hosted on FIVE blogs! Each blog showcases their own features (from the previous week's linky) so be sure to check them all out! If you're linking up we encourage you to visit some of the other links & our Pinterest board! Please note that by linking up you are giving us permission to use a photo (with proper link to you!) in our featured section and on our Pinterest board! If you prefer not to be featured simply comment below or e-mail me to let us know. Painting and Art are such wonderful activities to engage children in. Even the tiniest tots can paint and have fun with this Edible Pudding Paint from Zayit and Ziva and you don't have to fret so much if they put those cute pudgy little fingers in their mouths as babies are bound to do. If your looking for a fun way to work your toddler or preschoolers fine motor skills you must try this Shaving Cream Bath Paint from Keeping My Toddler Entertained. This messy fun is sure to be a big hit! Art and music are so much fun to combine. I love how Hey Mommy, Chocolate Milk invited her cute little guy to go Finger Dancing to the Blues. What a fun way to express yourself through both music and art. 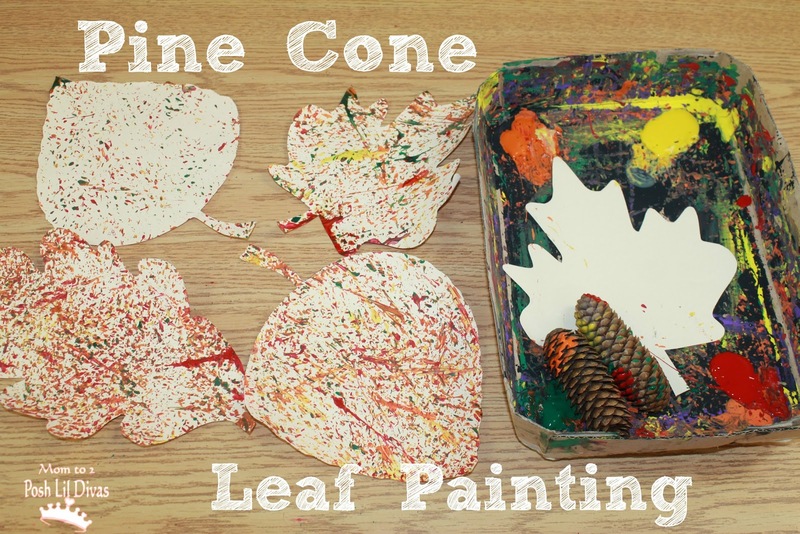 Fall is the perfect time to explore leaf rubbings with kids and I was inspired by the Magic Leaf Rubbings Madtown Macs did with her kids. The finished product was stunning! Red Ted Art shared another creative way to use fallen leaves to create art with her Goldsworthy Inspired Leaf Land Art. Imagine taking a stroll and coming upon such a treasure, simply lovely! How about this Mandala Style Art at the Beach by Simple and Joyful. I can't wait to try creating our own art the next time we visit the beach. What a creative activity. Do you have a favorite painting or art activity? My preschoolers had a blast with this painting activity. Thank You for sharing your child centered ideas with us! Ooh love your feature image. Lovely. Thank you for the feature too! 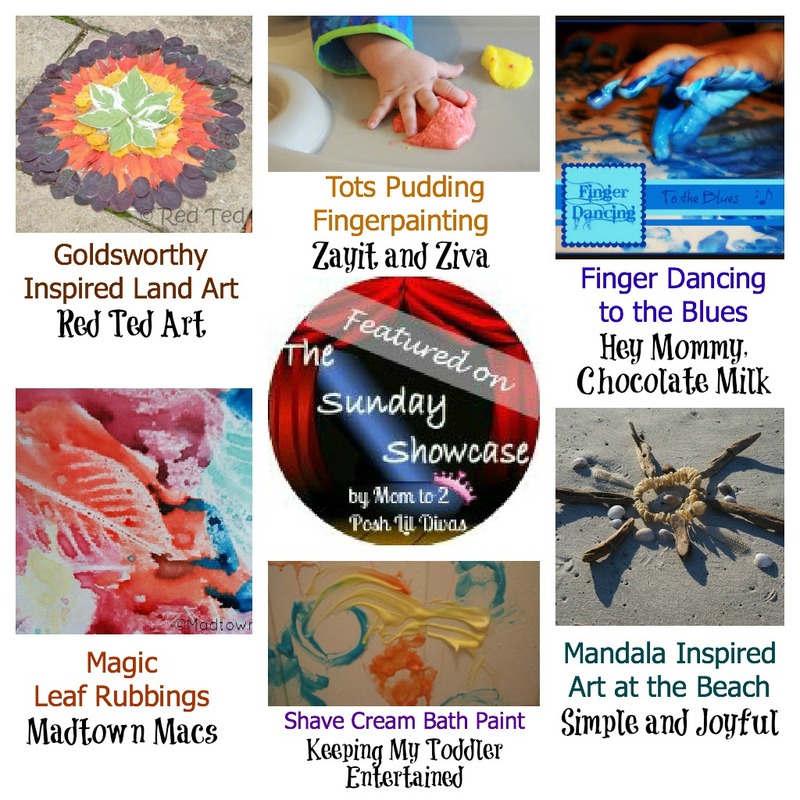 Thank you for featuring my Shaving Cream Bath Paint. It means alot for a new blogger! I absolutely love your linky party, I always find so many great ideas here. Off to start pinning - thank you!